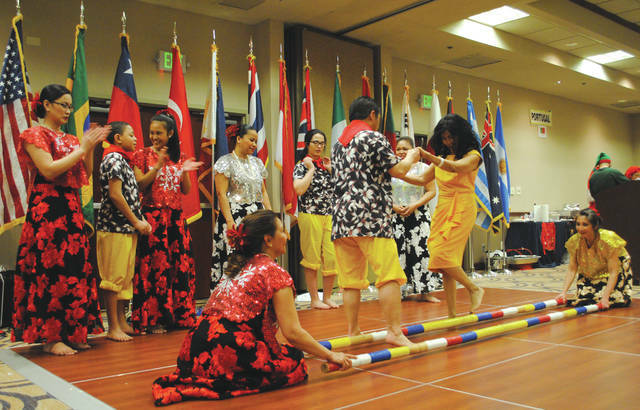 Whitney Vickers | Greene County News The Wright-Patterson International Spouses Group of Wright-Patterson Air Force Base hosted April 17 its annual International Fair, inviting cultures from around the globe to present dishes and performances. Tables lined the room at the Holiday Inn Dayton/Fairborn that presented attendees with the opportunity to enjoy cuisines from Portugal, U.K., Chile, Argentina, Brazil, Indonesia, Jordan, the United States, Philippines, Italy, Greece, Japan, France, Laos, South Korea, Turkey and Spain. 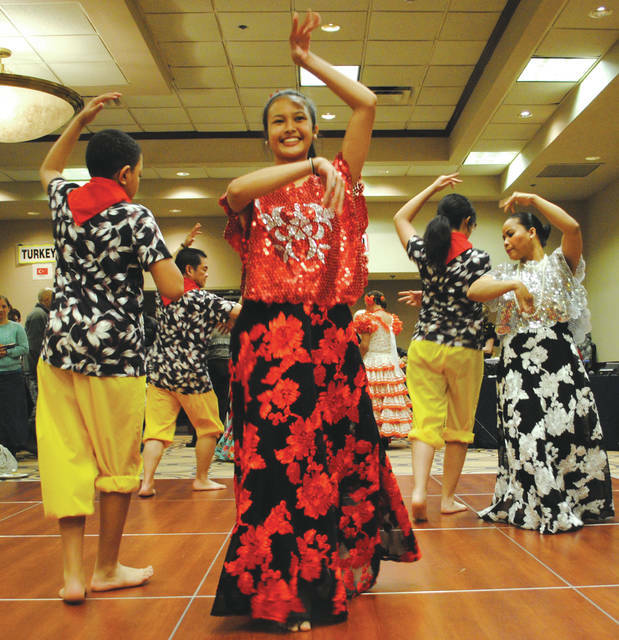 Various dances were performed from individuals of the Philippines, Indonesia, Japan and Spain. 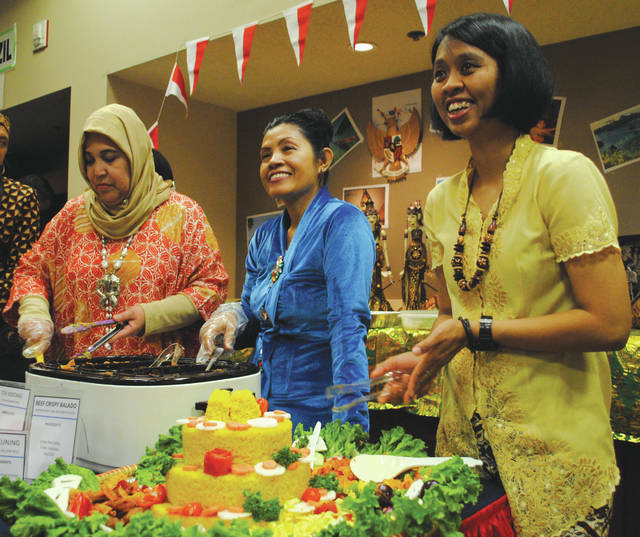 The Wright-Patterson International Spouses Group of Wright-Patterson Air Force Base hosted April 17 its annual International Fair, inviting cultures from around the globe to present dishes and performances. https://www.fairborndailyherald.com/wp-content/uploads/sites/50/2018/04/web1_if5.jpgWhitney Vickers | Greene County News The Wright-Patterson International Spouses Group of Wright-Patterson Air Force Base hosted April 17 its annual International Fair, inviting cultures from around the globe to present dishes and performances. https://www.fairborndailyherald.com/wp-content/uploads/sites/50/2018/04/web1_if7.jpgWhitney Vickers | Greene County News The Wright-Patterson International Spouses Group of Wright-Patterson Air Force Base hosted April 17 its annual International Fair, inviting cultures from around the globe to present dishes and performances. https://www.fairborndailyherald.com/wp-content/uploads/sites/50/2018/04/web1_if8.jpgTables lined the room at the Holiday Inn Dayton/Fairborn that presented attendees with the opportunity to enjoy cuisines from Portugal, U.K., Chile, Argentina, Brazil, Indonesia, Jordan, the United States, Philippines, Italy, Greece, Japan, France, Laos, South Korea, Turkey and Spain. 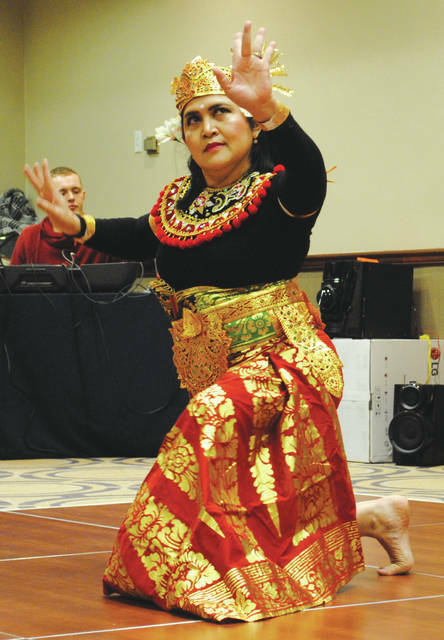 https://www.fairborndailyherald.com/wp-content/uploads/sites/50/2018/04/web1_if9.jpgVarious dances were performed from individuals of the Philippines, Indonesia, Japan and Spain.